Our range of products include fabric crush machine, fabric rolling machine and mending rolling machine. 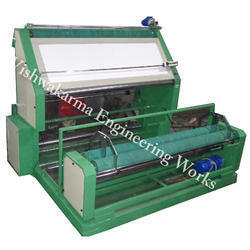 We are one of the leading name, which is engaged in offering a supreme range of fabric Crush Machine. These products offered by us are available in different customized specifications and forms in accordance with the emerging requirements of valued customers. Along with this, the offered range of All Over crush machines is widely utilized in different areas for its noteworthy features such as low power consumption and sturdy construction. 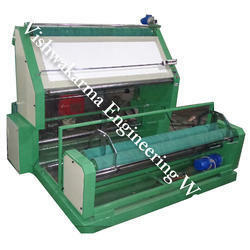 We are engaged in offering a premium gamut of Fabrics Roll Winding Machine. They are usefull in rolling the textiles. Our machines are tested on parameters such as hardness, blowholes, dimensions and quality and then delivered at customers' end. These easy to maintain machinery is offered in most competitive price. With the continuous support and sincere efforts put by our experienced professionals, we have been able to provide our clients with the qualitative range of Fabric roll Winding Machine. The provided machine is well acknowledged among our clients for its less power consumption and high performance. This machine. We are engaged in offering a premium gamut of Fabrics Roll Winding Machine. They are usefull in rolling the textiles. Our machines are tested on parameters such as hardness, blowholes, dimensions and quality and then delivered at customers' end. These easy to maintain machinery is offered in most competitive price. With the continuous support and sincere efforts put by our experienced professionals, we have been able to provide our clients with the qualitative range of Fabric roll Winding Machine. The provided machine is well acknowledged among our clients for its less power consumption and high performance. Looking for Fabric Inspection Machines ?